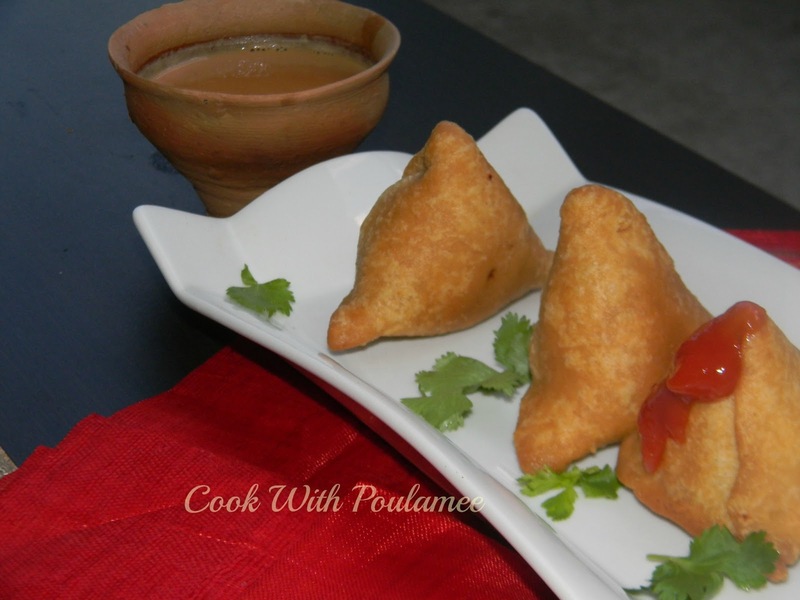 ‘SAMOSA’ an ultimate word for any Indian, we are never going to see the time if we get some samosas. Usually Samosa is famous in North India and West Bengal both. 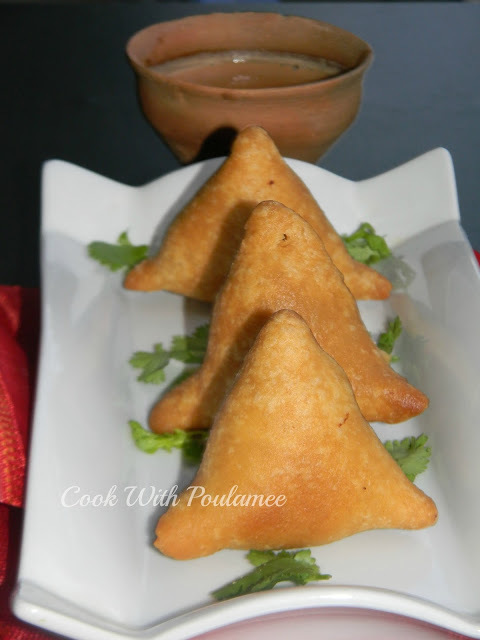 Tea and samosa is always a perfect evening choice for us. I usually make samosa with Cauliflower but this time I prepared some Chicken Samosa. 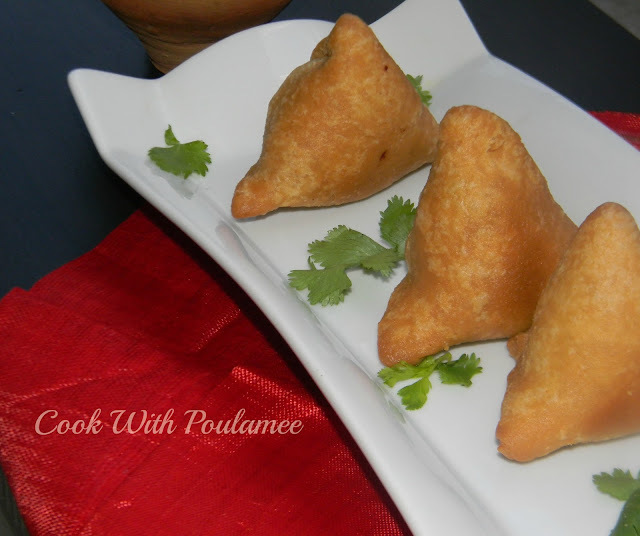 They were just awesome but I am really thankful to my friend Tanushri she gave me some nice tips for frying the samosas. It’s better to try something different every time. 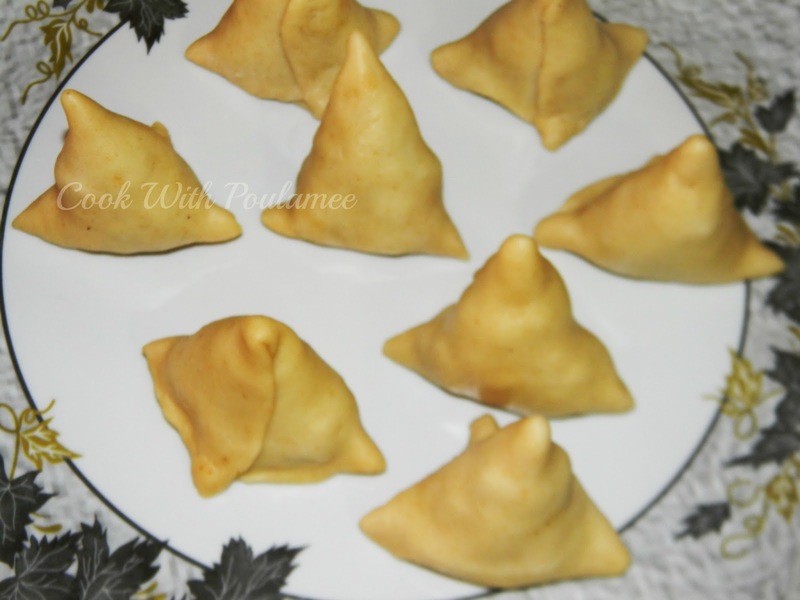 My chicken samosas were just perfect like shop, cant stop myself to make it again and again. 4.Three tea spoon ghee or sunflower oil. 5.Half tea spoon baking powder. 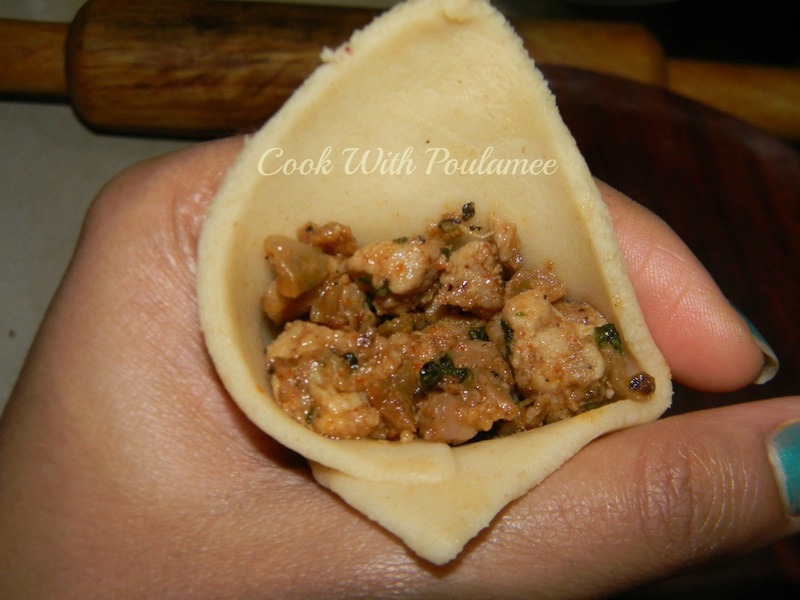 1.Boneless chicken:100 gm (finely chopped). 3.One tea spoon ginger garlic paste. 5.Half tea spoon chaat masala. 7.Half tea spoon lime juice. 8.Chopped coriander leaves: A hands full. And extra oil for frying. Take one large bowl and add the all-purpose flour, atta , salt, and baking powder and whisked all together. 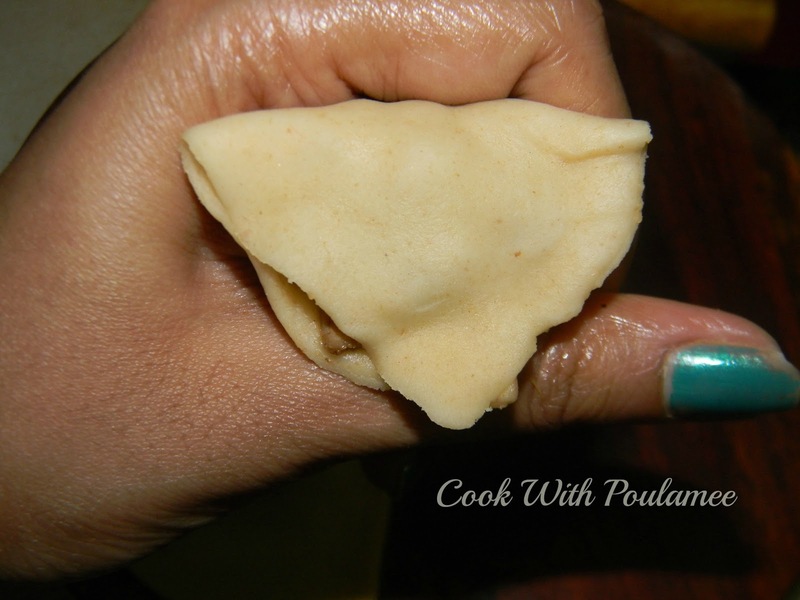 Now add the ghee for MOYAM and some water and make a nice dough. It should be smooth and soft. 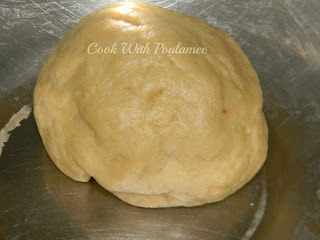 Now cover the dough with a plastic wrap and keep it aside for 20 mints. Take one vessel and add the oil, after it become hot, add the chopped onion and fry till they become soft. Now add the ginger garlic paste with all the spices powder except garam masala and cook till the oil separate. 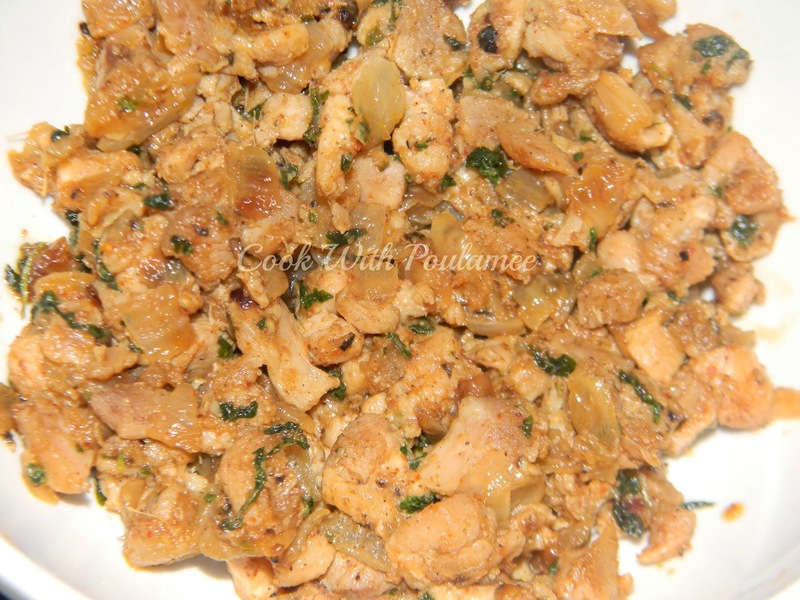 Now add the chopped chicken pieces with some salt and sugar and cook for another 5 to 8 mints. Now add the lemon juice, chopped coriander leaves and sprinkle the garam masala and cook for another 5 mints in low flame. Your stuffing is ready. 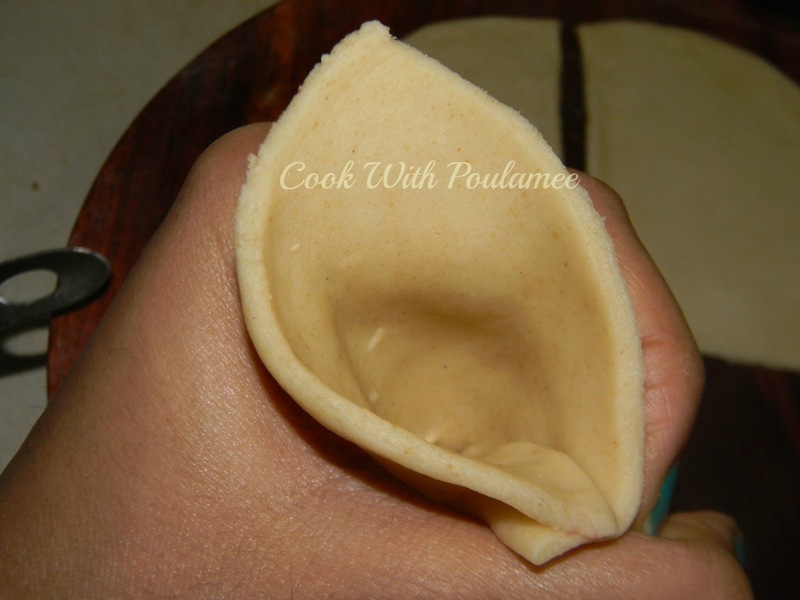 Now take out the dough and make two to three balls, roll those with a roller pin make it a big like roti but little thick. Now cut the roti with a sharp knife into four quarters. And with the each quarter make one samosa. 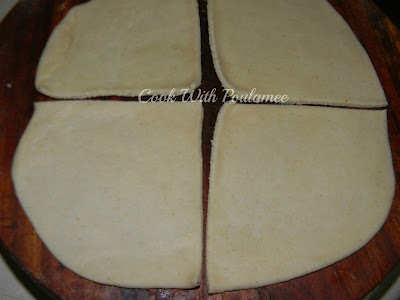 Now put a spoon full of stuffing inside each of the pieces and join the edges, if needed brush some water into the edges. 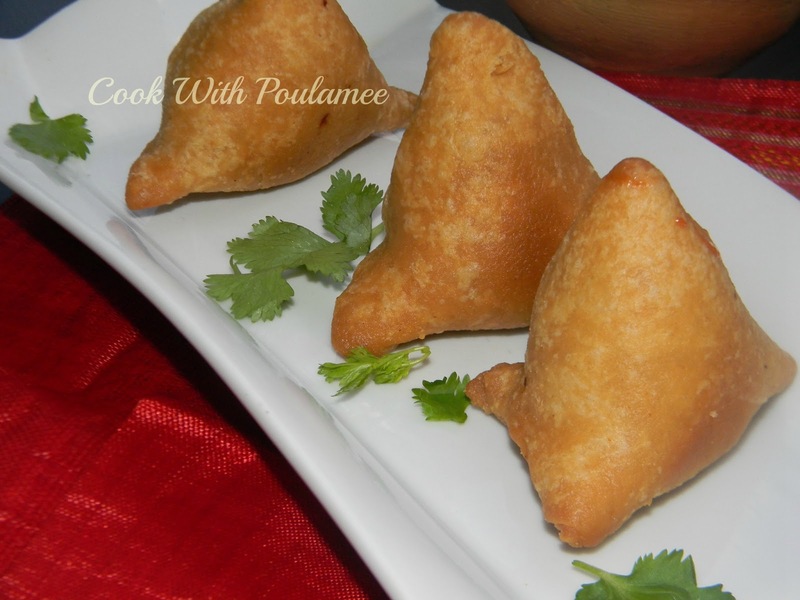 Now slowly make all the samosas. Now pour enough oil in a deep karai and slowly add samosas (two at a time) at the same time switch of the gas, slowly the oil will become hot and somosa’s will also start frying. After the oil become hot reduce the heat and fry till it become golden. CHICKEN SAMOSA is ready; enjoy your hot samosa with a cup of tea and ketchup.